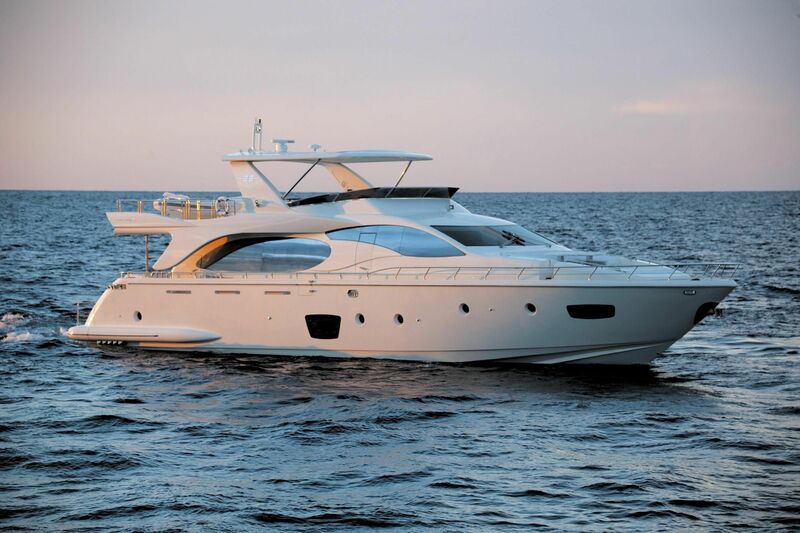 This Luxury Motor Yacht is a fantastic 2008 Azimut 85 which is available for yacht charter in the Western Mediterranean. 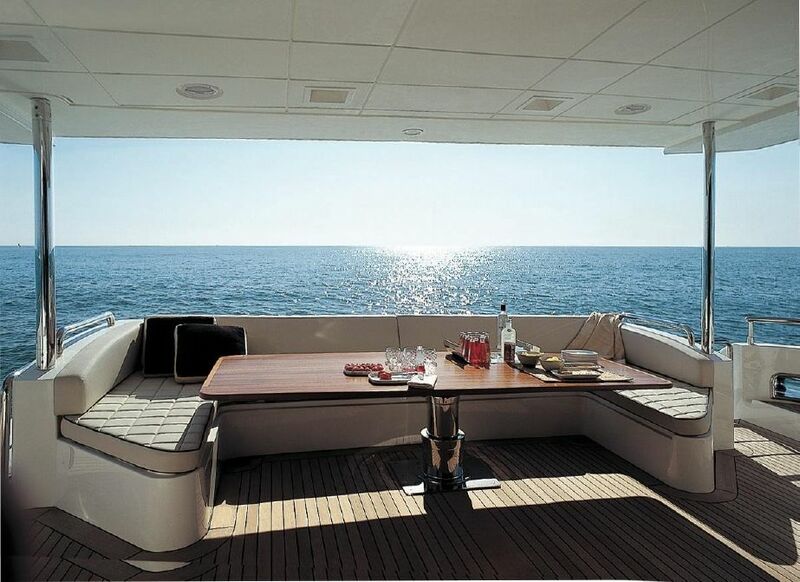 Never before has any yacht in this class managed to achieve the perfect blend of contemporary design, breathtaking beauty, and a range of amenities to delight and entertain even the most critical user. 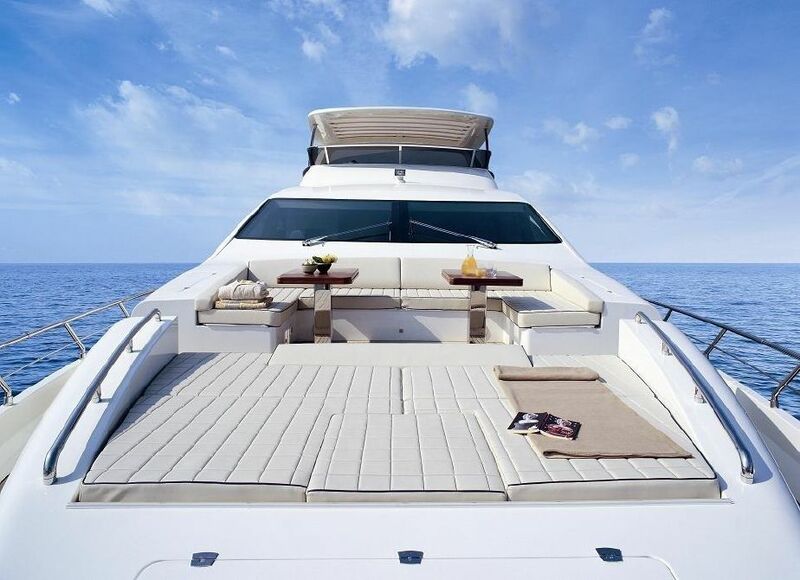 Amongst it's long list of features, the flybridge of the luxury motor yacht comes complete with a hydro-spa to relax and refresh yourself while cruising to your destination. 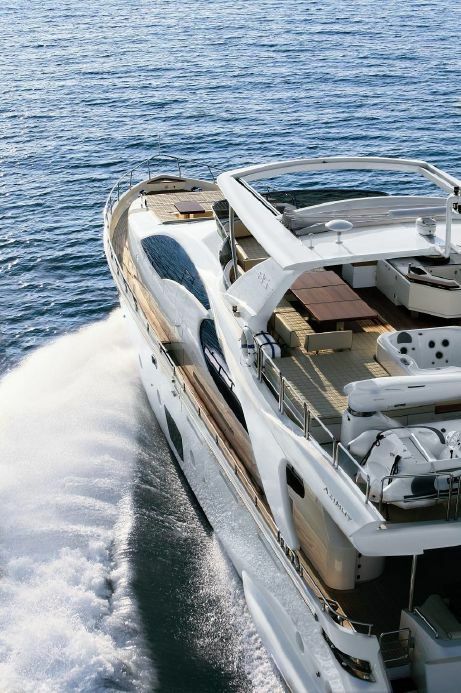 Embark now on Azimut's latest masterpiece. 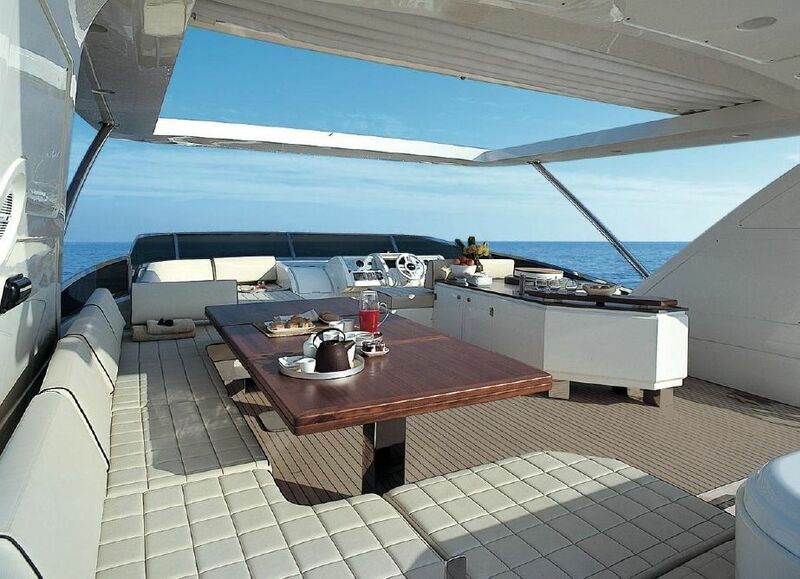 The Azimut 85 the ideal charter yacht. 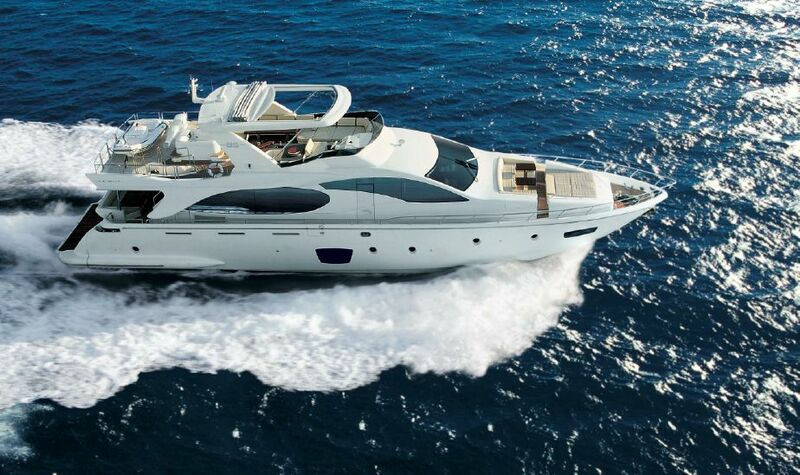 The Azimut 85 is a Grand Tourer of the sea; stately, luxurious and panoramic: “a floating home for home”. This is the concept that was elaborated by Stefano Righini and Carlo Galeazzi together with Viareggio’s Azimut team. A concept that evolved into a just over 85 feet long and nearly 22 feet wide villa on the sea. 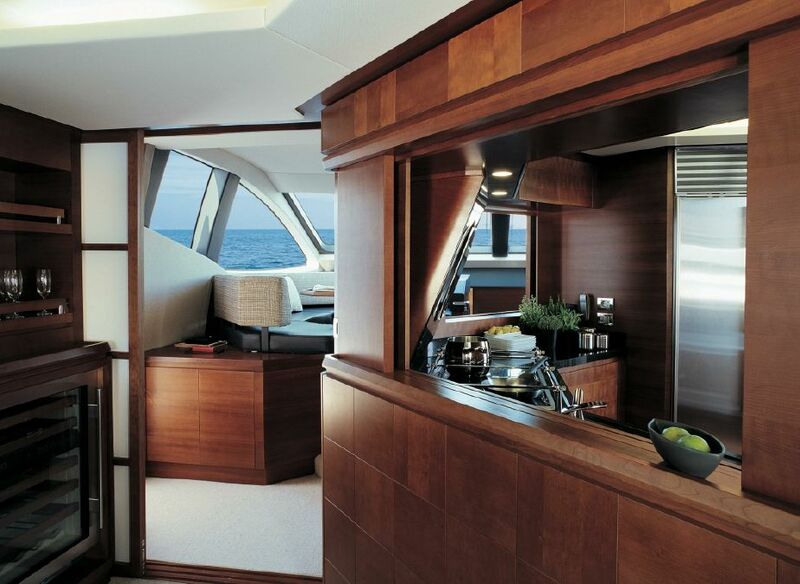 Ample windows on both decks, dilated volume and an “original” layout are only a few of the many assets on this new Azimut 85’ flybridge. 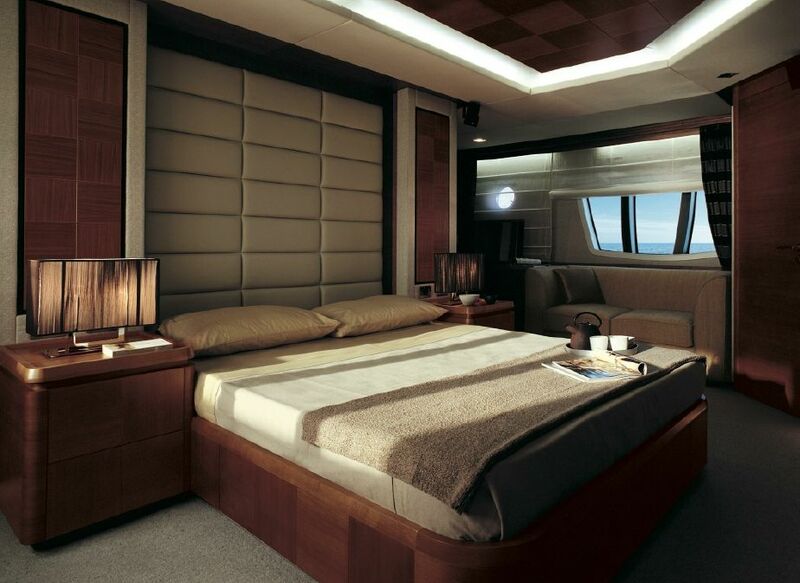 This luxury motor yacht offers luxurious accommodation for up to 8 yacht charter guests in 4 cabins, in the following layout: The yacht has an all new Galeazzi minimalist interior, with a huge salon, 1 Superb Master cabin, 1 large VIP cabin and 2 further Twin cabins. This luxury motor yacht provides the following yacht charter amenities and ‘toys’ on a Western Mediterranean yacht charter: Tenders & Toys -Zodiac Projet 420 -Jetski Yamaha XL 700 4-stroke, with remote shutter -Jobe One-Size-Fits-All Wakeboard - Sonic Junior Warp Wake Board -Nash Hydroslide Water-skis -Tribord Summer wetsuits -2-6 year old wet-suits -Tribord Snorkel& Mask Sets -Xbox 360 with Wireless controllers (In Saloon) -Azimut Multimedia DVD(200 films) and Music System(700 albums) (Through out boat) -Whirlpool 4 person massage Spa Pool hot tub(top deck) -Teuco Hydrosonic Spa Pool massage bathtub(master cabin) -Jobe Alligator 4 man inflatable toy. 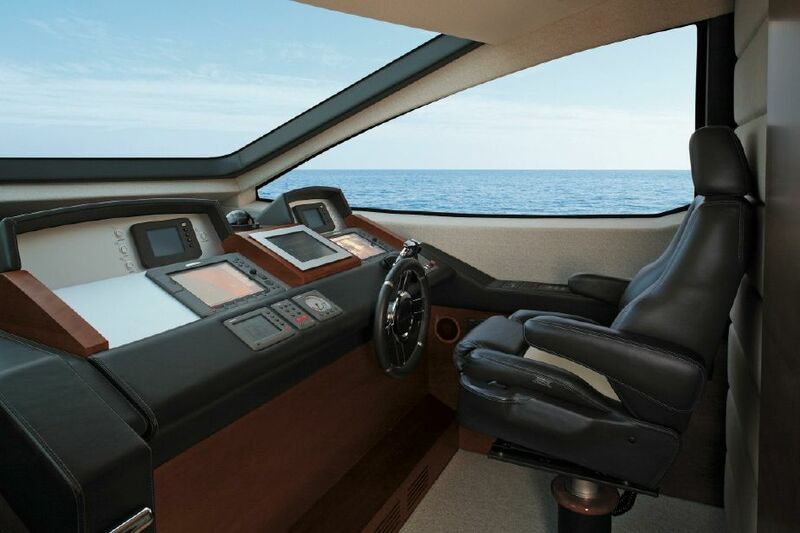 Audio Visual Equipment and Deck Facilities -Azimut multi-media system with DVD, CD, Games, in each cabin and saloon -Sky TV with full selection of channels through out boat separate receiver for Master Cabin. Communications PABX Intercom system.